Sarah Frank is a 15-year-old author and poet from Tampa, Florida. 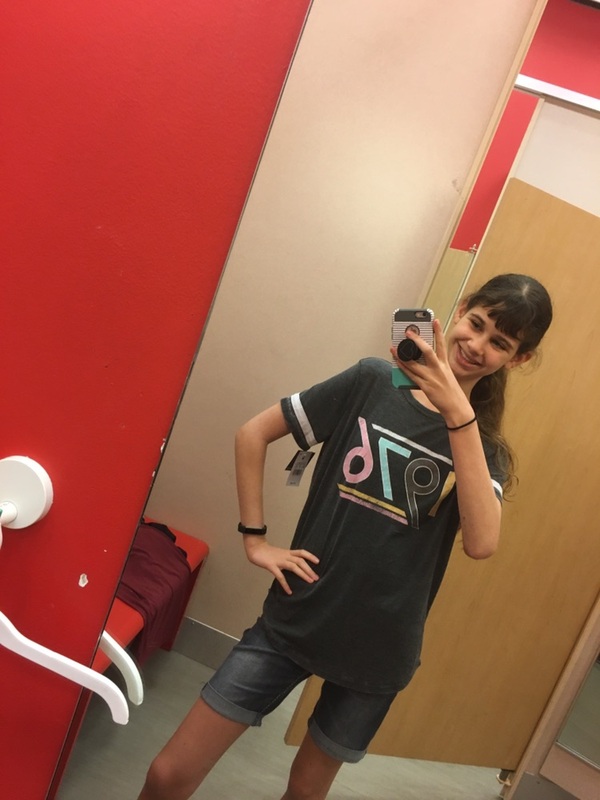 She attends Howard W. Blake High School of the Arts, where she majors in creative writing and is president of the freshman class. 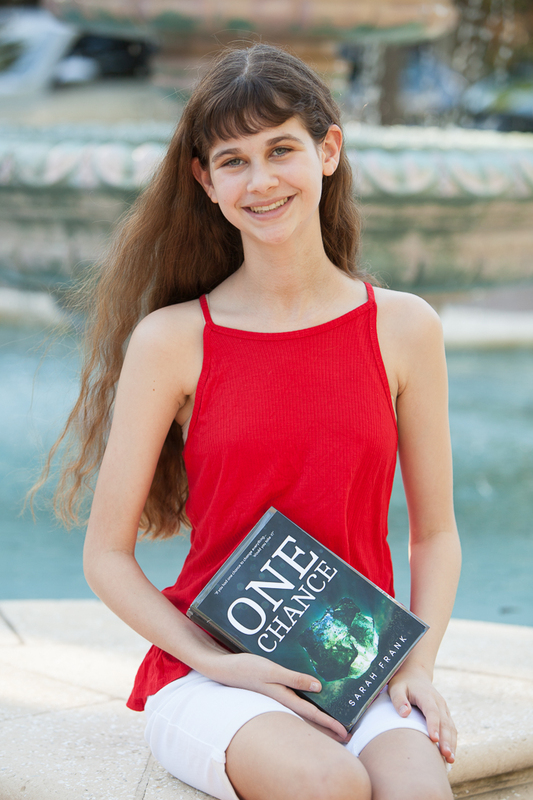 One Chance, Sarah’s first novel, was originally handwritten in a red notebook while she was in the fifth grade. She completed One Chance for publication by BeaLu Books when she was 14. In addition to One Chance, in fifth grade Sarah published a book of poems titled, “What Really Happened in Elementary School! Super Silly Poems Scribbled in a Notebook” (Amazon: http://a.co/eUGoOoV) as a “thank you” for her elementary school teachers. 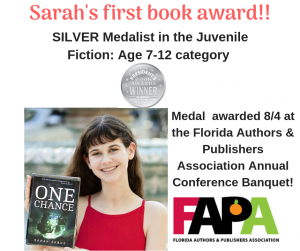 Sarah is enjoying doing “Author Visits” to elementary schools where the 4th and 5th graders and their teachers love seeing and hearing the story of how she wrote One Chance. Her platform is inspiring kids to follow their dreams while stressing that “hard work” was really the key to getting her work published. For information regarding school “Author Visits” and other events, contact Authors@BeaLuBooks.com. 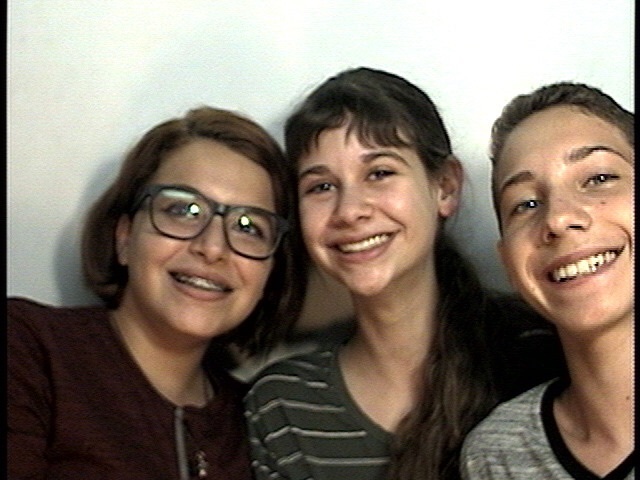 Sarah (middle) and some of her friends.